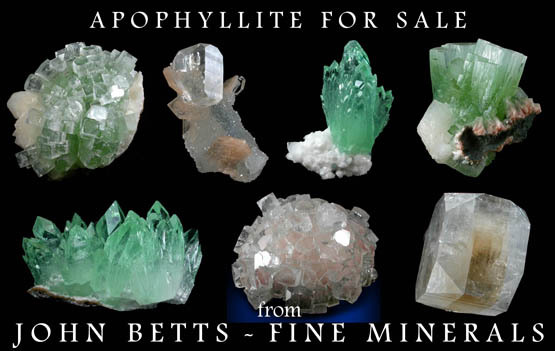 Description: Rosette formation of colorless apophyllite crystals with greenish chlorite inclusions. 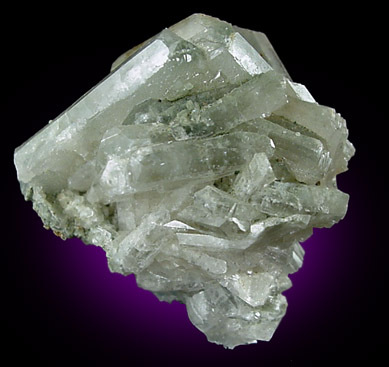 The apophyllite crystals are flattened, tabular crystals with beveled edges and complex corner faces. This famous quarry has been closed to collecting for many years.